If you’ve been shaving for some time, you already know the best results often come from shaving in the shower. Therefore, the best kind of shaver to get is a wet and dry model that can be used in the shower to it’s maximum effect. But with so many best shavers on the market, how can you tell which is worth your time and money? Let us help; in this guide, we’ve done all the research and put all of the information together into one helpful read to show you the best wet and dry shavers you can find. We’ll go over our top favorites and show you exactly what makes them worthwhile compared to the competition. There are a few things you should be aware of as you browse wet and dry shavers that will help you determine great products from average ones. Run Time: How long the shaver can go without having to recharge is a critical aspect you plan on taking your shaver with you on a business trip or anywhere away from it’s charger. Of course, you should always plug your shaver in when you’re not using it but good battery life will help you still be able to get the trim you need if you ever forget to plug it in. 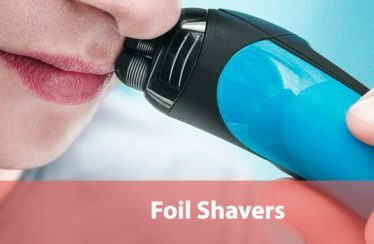 Foil: Shavers that make use of the foil that covers their sharp blades are oftentimes better at raw cutting potential and can often result in a smoother, closer shave. This is because foils capture hair and lifted up towards the blades as you move the shaver across your face. If you’re after a super smooth shave, try to find a shaver that utilizes foil technology in some fashion. Pop-Up Trimmer: Shavers that make use of a pop-up trimmer have some extra value because these tools are adept at taking care of facial hair in difficult to reach areas or in places that need for precision is typically offered by the broad primary head of your electric shaver, such as the sideburns. Accessories: Any accessories that come with your purchase might help you break a tie in your mind and represent added value for your dollars. These can be cleaning and charging stations, travel kits, or cleansing brushes. These aren’t necessary but are nice to have. Before we get into the details, let’s check out a quick rundown of each shaver’s basic qualities. 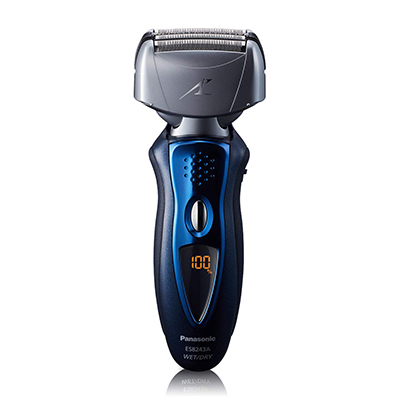 The Panasonic Arc5 Electric Shaver and Trimmer w/ Charge Station is one of the best that you can buy in terms of sheer quality and total performance. It utilizes five ultra sharp blades in tandem with an ultrathin ARC foil to drag hair upwards and cut is close to the root as possible. This will have the ultimate effect of increasing the amount of time between shaving sessions. The blades and the foil are both assisted by a flexible pivoting head that can easily follow all of the contours of your jaw and facial structure. The shaver makes use of a sensor that can detect how thick each segment of your beard is and adjust the elevation of the foil accordingly. 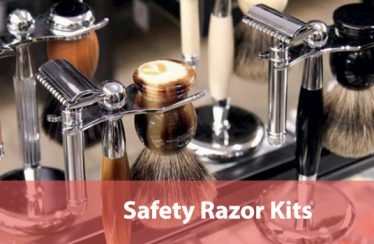 This will help prevent the shaver from cutting too close to your skin and assist in the event that you’re shaving to maintain a beard of a particular length. This shaver and ideal tool both for clean shaves and beard maintenance. Speaking of maintenance, the shaver is equipped with a pop-up trimmer that allows you to detail your sideburns or any trouble spots of your beard, such as the mustache or the corners of your jaw. The cleaning and charging station both recharges your shaver and cleans it while it’s not in use. Although the cleaning function needs to be refilled with liquid every once in a while, it’s great to have the maintenance of your shaver be mostly hands-free. It’s even equipped with a slick looking LCD display that can tell you how much time is left in the shaver’s battery. While the shaver is a bit pricey, its high quality and attention to all of the possible needs you could have make it well worth the cost in our eyes. We’ve got another excellent shaver in the form of the Braun Series 7 Electric Shaver w/ Charge Station. This also includes an excellent cleaning and charging station that is even more useful since it has an active drying system to ensure that the shaver doesn’t remain wet after a session in the shower. The shaver uses three different ultra sharp blades with a flexible pivoting head into skin guard that allow it to cut very closely without causing razor burn. This is assisted by the fact that the shaver uses sonic micro vibrations to do a lot of the cutting. 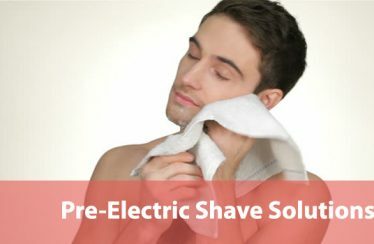 Sonic based motors are extremely effective and are preferred for sensitive skin, so if you find the razor burn is a common thing you suffer from, you’ll likely want to find a shaver such as this one. 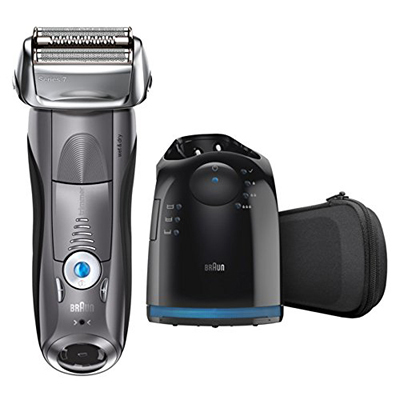 The shaver is also equipped with five different modes to alternate between more power or gentleness. This is great for experimentation because you can find the perfect setting for your beard or your clean shaves and stick with it, or you can use the modes to mix things up every once in a while and keep your routine fresh. The shaver is equipped with its own version of a beard density sensor and is relatively quiet since it utilizes sonic cutting instead of traditional physical cutting. Your purchase also includes a handy travel case, although this is a little unnecessary since you’ll likely want to take the charging station with you and this doesn’t have a case for itself. Overall, this shaver is another great pick if you’re after a premium, high-quality model that short a last for several years and for multiple different facial hair styles. 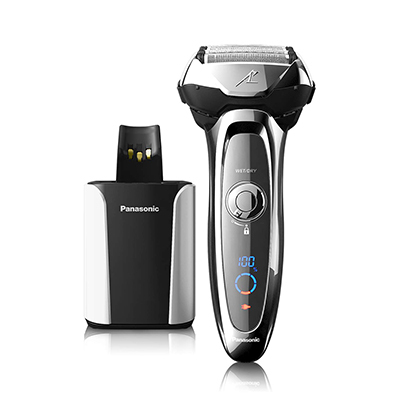 Next, let’s take a look at the Panasonic Arc4 Electric Shaver and Trimmer. It’s another great 2-in-1 model that comes with a pop-up trimmer that’s perfect for fine tuning the shape and aesthetic of your beard for handling any trouble spots like the sideburns or the corners of your jaw. 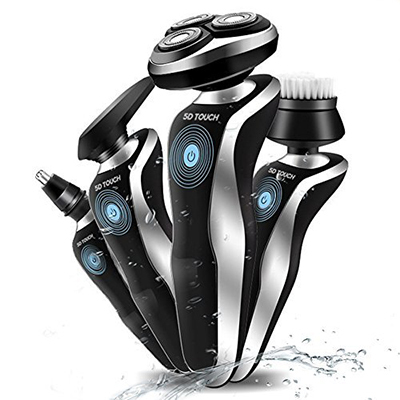 This shaver is equipped with four main blades that are made of stainless steel: this can be particularly good if you have skin that is sensitive to nickel or other types of allergic metal materials since stainless steel is hypoallergenic. A pivoting head and an ARC foil assist the blades to provide an extremely close or precise shave depending on your needs. This shaver also has a density sensor that can help you maintain a beard of whatever length you prefer without cutting too close or too far away. The handle is extremely ergonomic, which is great because the main point of these shavers is to use them in the shower where they can often become slippery. And ergonomic handle can help you maintain a grip on the shaver as you move across your face and will prevent slipping or accidentally cutting too much in one area. A travel pouch is included with your purchase, and the asking price is generally reasonable aside from a mediocre battery life which is a little lower than we would expect from a shaver of this price range. Having said that, the rest of the quality is quite acceptable and this is a great pick if you don’t want a premium shaver with the charging station but still want the high-quality innovation that premium shavers tend to offer. 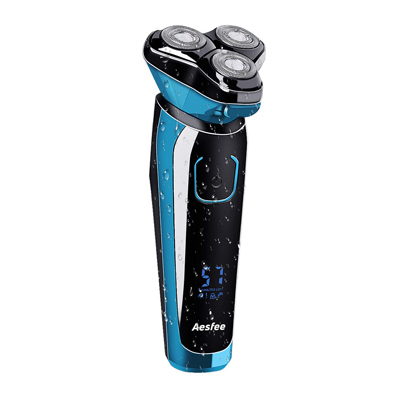 For the traveler, there might be nothing better than the Aesfee Electric Shaver for Men. It’s extremely affordable, for starters, and has a great charge to runtime ratio. It utilizes three elevated heads that are ideal for following the contours of your face or shaving around the neck. Because the elevated heads don’t cut in the same manner as other traditional shavers, you’ll be less likely to suffer actual cuts on your skin or severe razor burn, although we still recommend using shaving cream. This shaver offers a unique travel lock feature that can prevent people from using your shaver and draining its battery while you’re not around. Another great travel perk is that it uses a USB port to charge; this means you can charge it virtually anywhere and don’t have to rely on a traditional power outlet to make sure that it’s always ready to go. It lacks the foil for any of the hyper-thin blades that a lot of the more premium shavers make use of. However, you should find that you’ll be able to maintain a smooth face regardless of the lack of these features. We just wouldn’t recommend this shaver for maintaining a beard at a certain length as the precision capability simply isn’t there. With your purchase, you’ll also get a portable bag and a cleaning brush for maintaining the shaver over time. It’s lightweight and compact enough to fit into most travel cases and join you on any journey or business trip. For such an affordable piece of equipment, this shaver packs a lot of value. 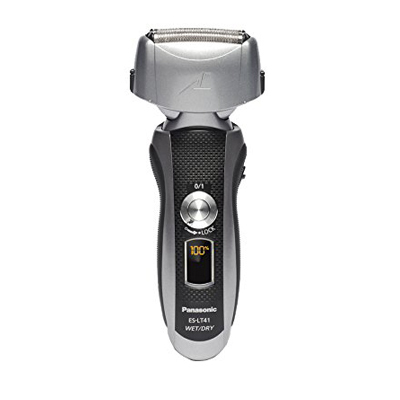 The Panasonic Arc3 Electric Razoris another great all-around shaver that can handle a multitude of duties and shaving styles. It makes use of an excellent ARC foil that works with its three sharp blades to capture and cut hair that’s very close to your face or the designated length for your beard. The pivoting head that is included in its design is extremely flexible in his perfect for traveling along the corners of your jaw or any type of bone structure. Even if the pivoting head wasn’t as effective, you could make use of the pop-up trimmer that comes included with this shaver. The handle is extremely ergonomic and easy to hold even in slippery environments and the LCD display is low in small enough as to not get in the way of operation. The shaver also utilizes sonic vibration mode that can be activated for tackling stubble or extremely short, coarse hair that might be too close to your skin to use the regular blades without risking razor for. This added value is a great innovation that makes the shaver a perfect pick if you’re tackling stubble more often than a full beard. The shaver is a little loud as the primary cutting system is a motor traditional sense without sonic base cutting. However, this is an ultimately minor flaw in an otherwise phenomenal piece of equipment. It’s not too expensive to be out of reach for most people and brings a lot of top-tier quality to your shaving experience. Another great pick for a travel-friendly shaver is the BriGenius Electric Foil Shaver. It’s very affordable but packs a lot of great value and functionality into it’s small, compact size that’s ideal for stuffing into any travel back. 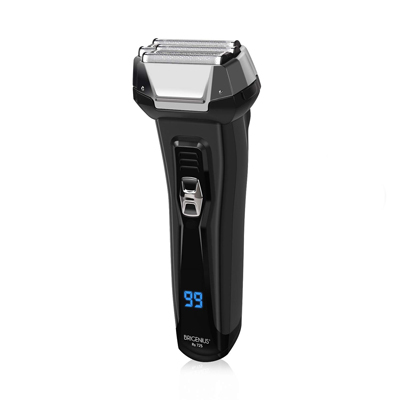 It’s primary head utilizes three shavers that are powered by a linear motor which can maintain its full speed all the way down to the end of it’s chart. The blades are placed atop ahead that is flexible enough to move with the natural shape of your facial bone structure. 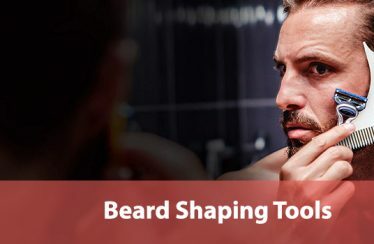 Besides the blades, this shaver includes a pop-up trimmer that can be used to get difficult to reach places or contour your beard to your exact specifications. A travel lock that can prevent people from using your shaver without your permission is implemented into the shaver handle. A slick LCD display shows you how much battery time is left before you need to recharge, and this shaver can be recharged with a USB port. This is a much more effective solution for charging on the go as you can oftentimes find a USB port anywhere even if you can’t find a traditional power outlet. This shavers handle isn’t the greatest, however. It’s not very ergonomic even though it is waterproof, so we recommend paying attention when you use it in the shower. It’s not a bad handle by any means, but it’s just not as comfortable as handles on some of the other shavers we’ve looked at so far. Finally, let’s take a look at the Adhope 4-in-1 Electric Razor Shaver. 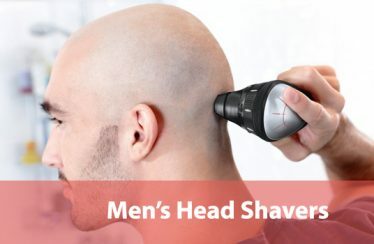 It’s a 4-in-1 variant that has a standard shaving head, a nose hair trimmer, and exfoliating brush, and a shaping trimmer head that’s ideal for cutting your facial hair to a perfect shape or design beyond what is possible from the elevated standard head. The standard shaver head uses three elevated blades to cut smoothly over your skin and reduce any chance of irritation. The nose hair trimmer is effective and each of these tops is easily switchable to make using them all in a single session very convenient. The exfoliating brush is a great addition that can help keep your face glowing and healthy. The shaver is also assisted by an ergonomic handle that’s great for use in the shower in which is designed to be a perfect angle for each of its four different tops. The charge time on the shaver is truly abysmal, unfortunately. You get a decent amount of runtime for a full battery but there’s no doubt that you’ll need to keep this plugged in whenever you’re not using it. Although it’s quite affordable, the consequences for forgetting to plug it in are high enough that it’s a pretty fair flaw in an otherwise excellent shaver. Now that you’re armed with a great new wet and dry shaver, take a quick look at these helpful tips to make sure that the first time you use it is a total success. Shave in the Shower: Since you’ve gone to the trouble of getting a wet and dry shaver, you should probably use in the shower where it will be the most effective. Waterproof shavers have an advantage in that they can operate right is your skin’s pores are opening up under the stream of hot water. Shaving in the shower will make your shaves and closer and therefore last longer than if you shaved with dry skin. If, for some reason, you can make use of the shower you can accomplish the same effects for your face by using a hot, wet rag and scrubbing your face before you start to shave. Shave Against Your Hair: When shaving, be sure to push the shaver against the direction that your hair naturally wants to lean towards. This will help keep the hair straight and therefore be cut closer to its root, which will translate into a closer shave and more time between shaving sessions when you can enjoy a totally smooth face. Use Cream: Even if you’re not going for a super smooth shave, we recommend using shaving cream since it can protect your skin from razor for and assist your shaver as it cuts coarser or thicker hair. Shaving cream is a great addition to any shaving routine and should be ignored just because your shaver is electric and cuts under it’s own power. Keep the Shaver Plugged In: This is especially relevant if your chosen shaver doesn’t have battery life, but it’s a good thing to practice even if your battery life is amazing. Keeping your shaver plugged in at all times will ensure that you’ll never run into a moment when you forgot to shave but discover that your shaver is out of power. Keep it plugged in, and you’ll always be ready to touch up your beard or make sure your skin is as smooth as possible. We hope that this guide has provided you with the critical knowledge necessary to pick out the best wet and dry shaver for your needs. Wet and dry shavers are truly amazing for getting close, consistent shaves and are a great way to cut down on the time spent during your morning routine. Thanks for reading! How Often Should I Wash My Hair if I’m an Older Woman?